Adolie Day, a well established French freelance illustrator and painter, wrote to me today to share her work. Mostly images of children, she does a lot of work in textiles for children's fashion for lines like Kenzo, for instance. 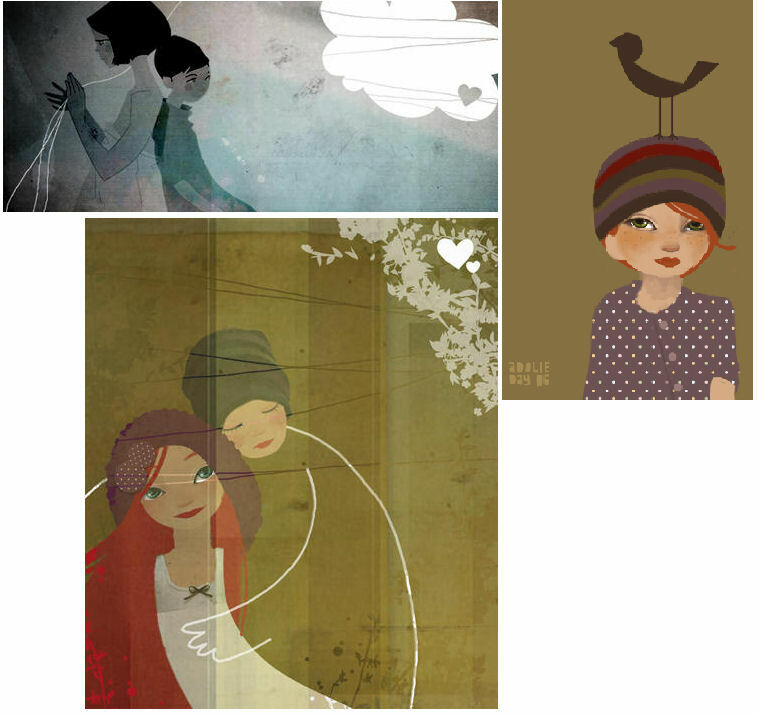 I love the color palette she uses and the softness in the eyes of the children she paints. Her work has a lot of warmth to it, it's very peaceful, and I like that. Her blog is a lot of fun to browse, she has a few shots of her atelier there (a very simple section carved out by a window in her kitchen with a water view) and more art for you to see. Enjoy.